Arsenal Colorado is pleased to announce a new community partnership and two-year jersey sponsorship with OtterBox. 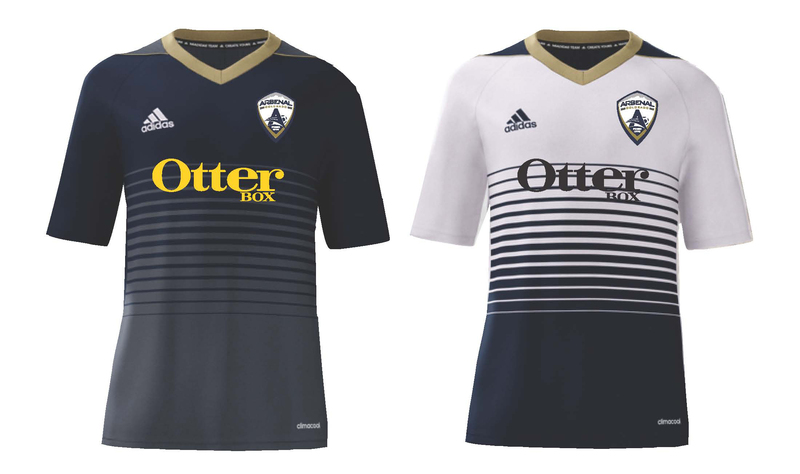 The OtterBox logo, which uses their corporate colors, will feature prominently on the front of Northern Colorado’s premier soccer club’s home and away competitive jerseys. The new kits will make their debut this fall and will be worn through the 2019-2020 season. In addition to the jersey sponsorship, OtterBox will also begin to offer Arsenal Colorado branded products such as phone cases, tumblers and coolers at a discount to members. As this partnership grows, we will keep our members informed about all of the great opportunities this partnership will provide. OtterBox was founded in 1998 in Fort Collins and recently celebrated 20 years of growth and innovation. They have grown into a global technology leader and are one of the most respected and successful brands in Colorado and beyond. Similarly, Arsenal Colorado was founded in F ort Collins in 1978 and will celebrate its 40th anniversary by adding its first-ever game jersey sponsor, a significant event in the history of the club. Arsenal Colorado is a nonprofit organization and uses proceeds from advertising and sponsorship to benefit its families by contributing to the cost of program services as well as completing new projects. Immediately, thanks to the OtterBox sponsorship, a new lightning prediction and warning system to increase safety will be installed at the Fort Collins Soccer Complex in part thanks to sponsorship dollars.